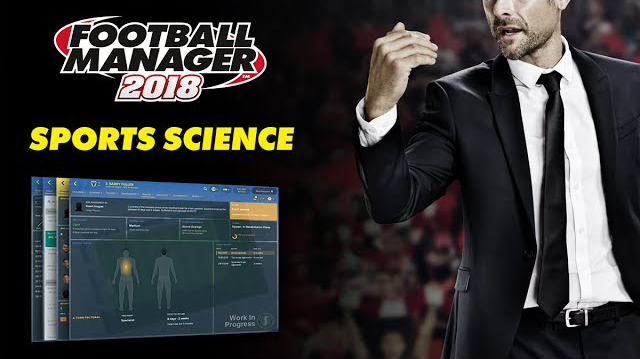 Sports Scientists have been overhauled for Football Manager 2018 and they’re now ready to make a huge impact on your squad. 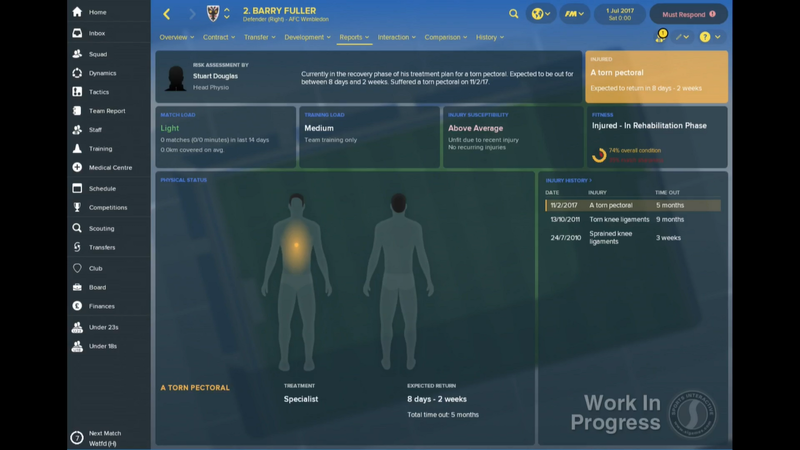 In Football Manager 2018 your medical team take on a bigger role than ever before, providing you with more information about your club’s current injury situation as well as advising you about how to avoid injuries occurring in training. 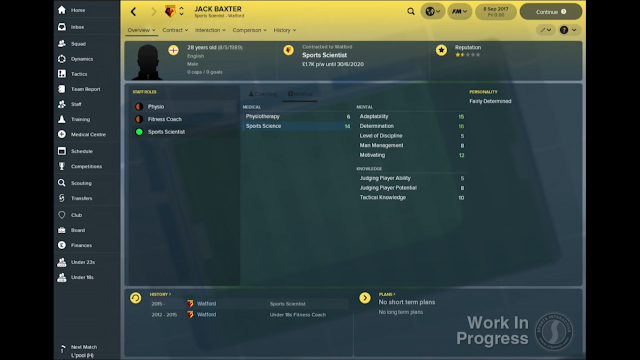 Sports Scientists made their debut in Football Manager last season and they return this year with a more visible presence as they report directly to you with regards to the physical condition of your squad, freeing up your physios to focus on treating injured players. 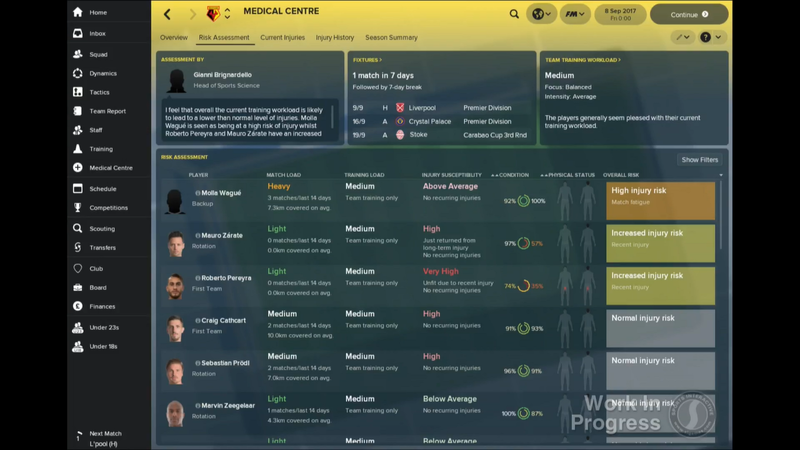 There’s also a new dedicated ‘Sports Science’ attribute for medical staff. You can view the feedback from your Sports Scientists on the new ‘Medical Centre’ section which is your one-stop shop for everything related to the fitness of your squad. There are five panels within the section offering the most detailed insight and analysis of your team’s condition in the series’ history. 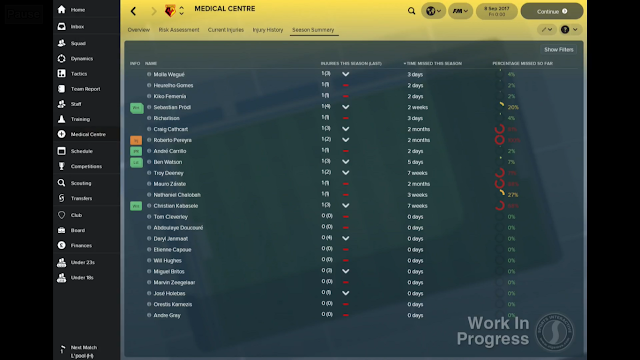 The first of these, the ‘Overview’ panel, shows you who in the squad is currently injured, which players have recently returned from injury and any players that are at increased risk of picking up an injury. 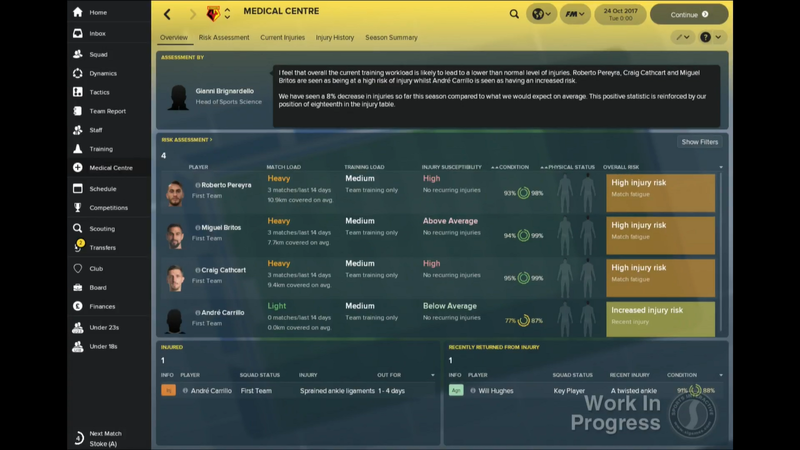 At the top of the screen you’ll also be see an assessment from your Sports Science team about your current training workload, your injury record compared to the rest of the league and any changes you can make to your training methods to avoid injuries ahead of upcoming fixtures. What if we want to see how we can reduce the likelihood of injuries occurring on the training pitch? You’ll want to go to the ‘Risk Assessment’ panel. This shows you your upcoming fixtures and current team training workload, allowing you to easily match the intensity of your training sessions to your upcoming matches. 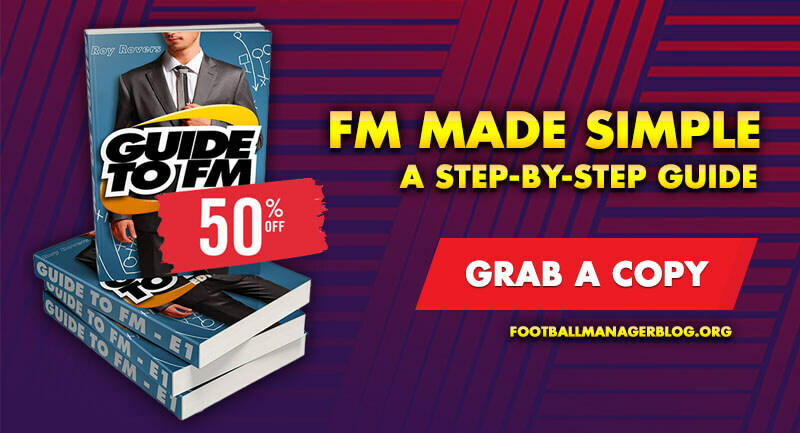 Your Sports Scientists will point out when it would be best to lighten the players’ workload and when they need to put the hours in on the training pitch; keeping your players injury-free for longer and potentially proving to be the difference between defeat and victory. The ‘Risk Assessment’ screen also gives you information on each player in your squad’s susceptibility to injury, overall injury risk, current workload in both training and matches and their general condition. 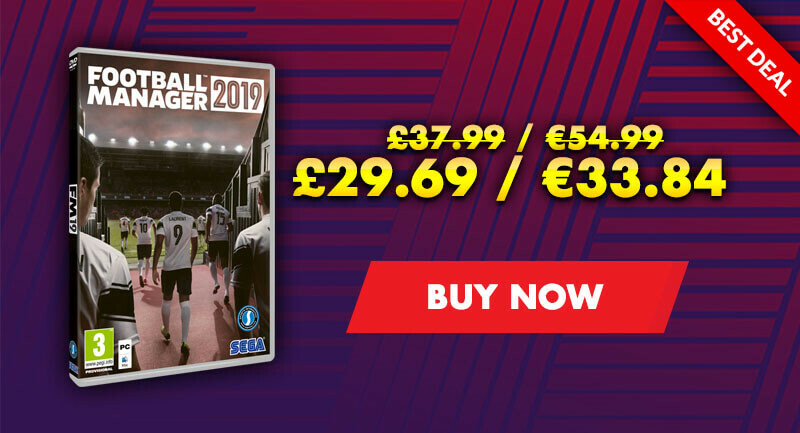 From here you can delve into a player’s individual medical report to see their injury history and injury status as well as any parts of the body that are currently affected by injury, treatment they’re receiving and the time until they can return to training. Let’s move on to the ‘Injuries’ panel. 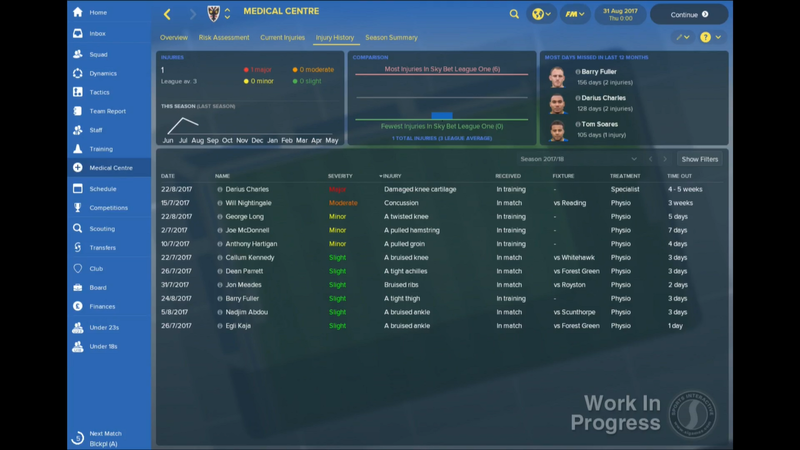 This screen lists details on every injury that your squad picked up over this season and last including: severity, the treatment option that was used on the player and how long the player was sidelined for. At the top of the screen you’ll be able to see a comparison of your current injury situation compared to the league average as well as a graph showing a year-on-year comparison of the number of injuries your squad have sustained. In the top right, there’s also a snapshot of which player have missed the most action over the past 12 months. For a more detailed view of that snapshot, you’ll want to head to the ‘Season Summary’ panel. This breaks down the number of injuries each squad member has suffered this season compared to the previous campaign and the time and percentage of action that they’ve missed during the season. There’s also a panel for currently injured players. 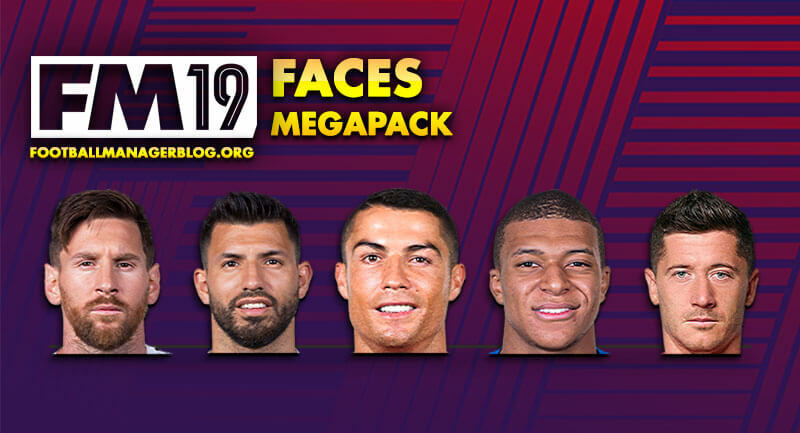 Finally, all five panels can be filtered to show your senior squad or youth teams or all three, should you desire. 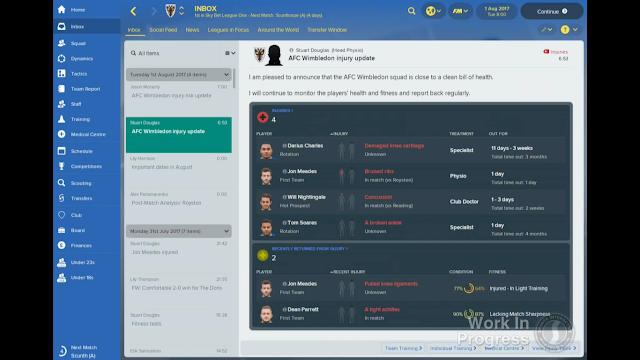 You’ll also be sent emails from your physios and sports scientists that help you see how you compare to other clubs in your division injury wise. 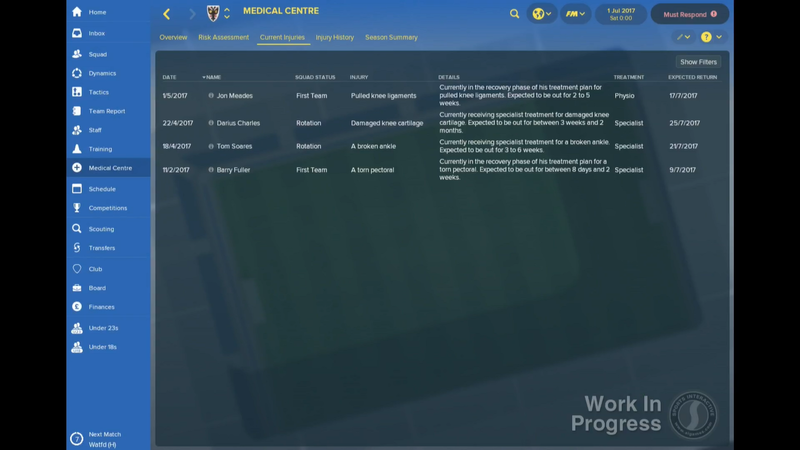 By regularly visiting the ‘Medical Centre’ tab and making use of the information and advice contained within it and the feedback from your sports science team, you’ll be able to better prepare your squad for the rigours of the modern football season keep your key players in top condition for those local derbies, relegation six-pointers and title deciders that define a season.